This past weekend, I attended Convolution 2013 in Burlingame. Despite being only in its second year, the con was well-organized and well-attended; the staff obviously put a lot of thought and loving work into making the three-day event a success. I had a blast dressing in costume, attending the entertaining panel discussions, and soaking up the fen energy. 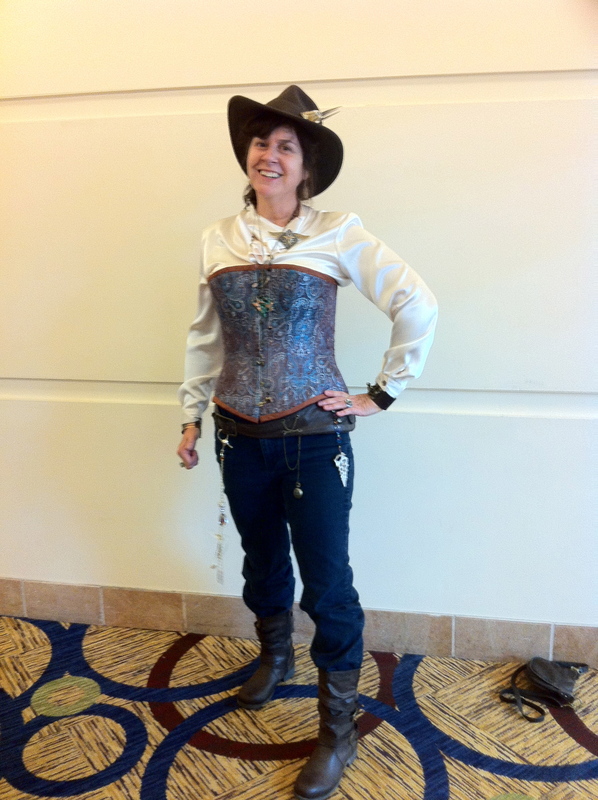 Kinda hard to return to mundane life this morning . . . .
Me in my western steampunk costume.